As of September 2015 ISRC codes may not be purchased independent of "Value Added" services such as Mastering or MP3 Encoding Services. If you are interested in acquiring ISRC codes, you will need to order a service before filling out the ISRC Agreement form below. ISRC codes can be obtained with the purchase of Mastering Services . You can check YES in the "Do You Need Mastering Services" box in the form below to receive a quote. There is no commitment to pay until we both agree to the rate. 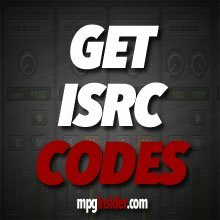 If you do not require Mastering Services then you can pay to have MP3 files created for you with the ISRC Code (Included in the purchase) Artwork (provided by you) and metadata burned in. 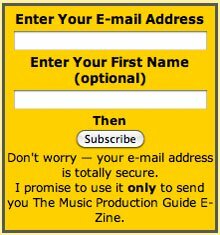 Use the Payment Section below to order MP3 Encoding Services. A link back to this page to fill out the ISRC Agreement Form will be provided after the payment is completed. I look forward to helping you with your project...! List all Recordings below that require ISRCs. If multiple versions of the same Song are included, please list each version separately as each version requires a different ISRC. I have read and agree to all the terms listed below. 1. I attest that I am the owner of the above listed recordings. 2. I authorize Michael White Productions Inc. to assign ISRC codes on my behalf for the recordings listed above. 3. I attest that there are currently no other ISRC codes assigned to the recordings listed above and that no other third party ISRC applicant has been appointed to assign ISRC codes to them. 4. The Applicant commits to use the assigned ISRC codes in future exploitation of the Recordings listed above. 5. The Applicant agrees, that upon submission of this ISRC Agreement and after the assignment of ISRC codes to the listed Recordings is complete, that no new codes will be allocated to the listed Recordings in the future by any Third Party Applicant. 6. Michael White Productions Inc. commits to inform the Applicant of the ISRC codes that have been assigned to the Recordings. Additionally, Michael White Productions Inc. commits to keep good records and to make relevant records available to the Applicant on demand.